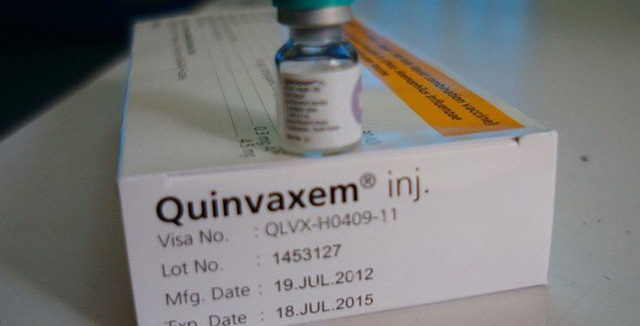 -- Starting from June, the Quinvaxem vaccine, which is meant to prevent five common and potentially fatal childhood diseases, will be replaced by the Indian-made ComBE Five vaccines in Vietnam’s National Expanded Vaccination Project, the Ministry of Health announced on Monday. -- Two suspects were arrested on Monday evening for murdering an eight-year-old boy in the northern province of Vinh Phuc over prior conflicts with the victim’s father. -- The Ho Chi Minh City People’s Court on Monday sentenced Nguyen Hoang Duong, a former officer under the Ministry of Public Security, to eight years in prison for attempting to sell confidential documents to foreign countries in order to have money for gambling. -- Residents in the north-central province of Nghe An have complained that a local gold shop had taken away their deposits worth a total of VND30 billion (US$1.32 million). The victims started depositing their savings in the gold shop for regular interest in 2015. -- The Ho Chi Minh City Department of Planning and Architecture started an exhibition on Monday to collect feedback on the design for the renovation and expansion of the municipal People’s Committee headquarters. -- Police in Hanoi have taken into custody a teacher of a local elementary school for allegedly molesting multiple third-grade students. -- During a meeting with the Ho Chi Minh City administration on Monday evening, CEO of Lotte Asset Development Lee Kwang Young stated that the firm would complete necessary procedures to be able to begin the construction of an iconic tower at the Thu Thiem New Urban Area in September. -- Tuoi Tre (Youth) newspaper is scheduled to organize a conference in the Mekong Delta province of Bac Lieu on Tuesday to discuss measures to cope with drought and saltwater intrusion during this year’s dry season in provinces across the region. -- The State Bank of Vietnam has issued Directive No. 2 regarding measures to tighten the management and supervision of cryptocurrency-related transactions in the country.